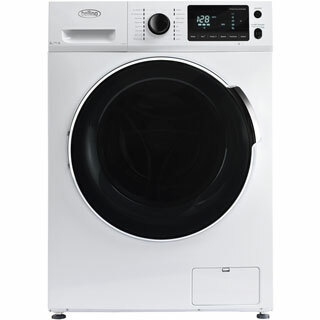 "I’ve owned this washer/dryer for nine months now, and so far it’s been excellent. I have a very tight space so needed a compact machine but also wanted a washer/dryer to make life a little easier. While this does have some limitations, for the price and space I had available, this has been perfect. It washes incredibly well and is only let down slightly by the drying facility — it doesn’t seem to finish earlier/later depending on the amount of washing in the drum (as it’s supposed to) but for occasional drying it’s really a dream. 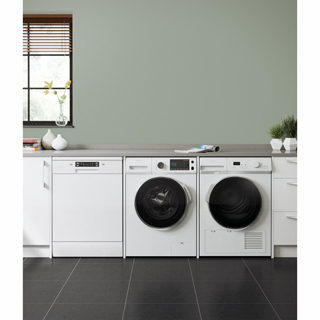 It also looks stylish (for a washing machine) and has been very easy to care for and clean so far. I honestly can’t reccommend this highly enough. " "Struggled to find a machine to fit our space... found this one and it fits perfectly. Works great. Tiny bit loud but overall good machine." "Overall very pleased with machine. Slim depth allows it to fit a tight space in a utility cupboard where a combined washer-dryer feature is essential. Washes well albeit rather noisily when spinning! Generally happy with purchase." 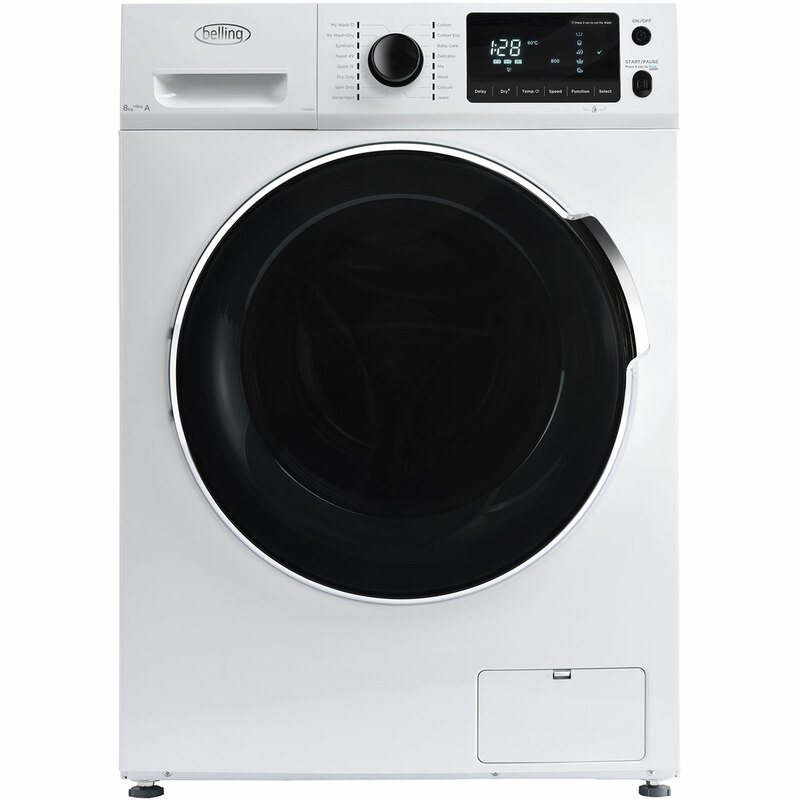 "We needed the washing machine to fit into a particularly tight spot and chose this one because it is less deep than most washer/dryers. The total space required for it however is closer to 52cm rather than the 47 advertised due to the pipes at the back. We had guessed this may be the case, but could not find the information online anywhere - hence this review. 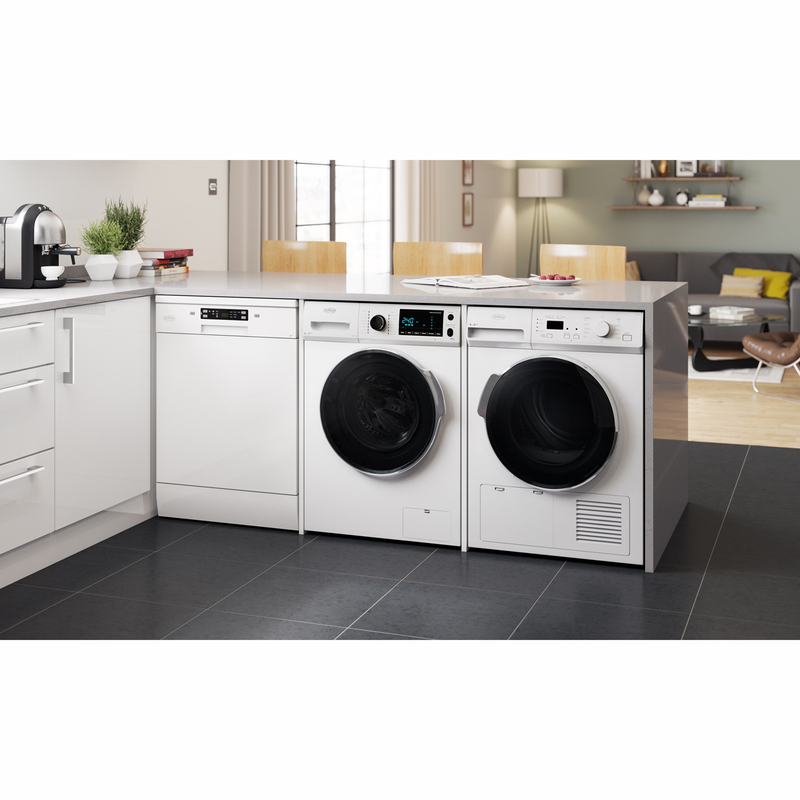 We have decided to stick with it though as it is still the shallowest washer/dryer we can find and does not stick out too much. It has not been installed yet, but looks lovely." "Nice size for the small available space, bit noisy but does what it's supposed to do. We had to send the item back unfortunately because of it failing to spin correctly. Currently the replacement is working ok, but no thanks to the installer who was very rude and in a mad rush to get away to a party." "Looks great, lots of functions and fairly easy to use - quiet compared to old washing machine! They 1.5hr air dry function leaves clothes pretty dry if you don’t need quickly or won’t save energy. AO delivery / service exceptional. They only negative is the cold calling to sell warranty after - perhaps add it as an option when purchasing instead."